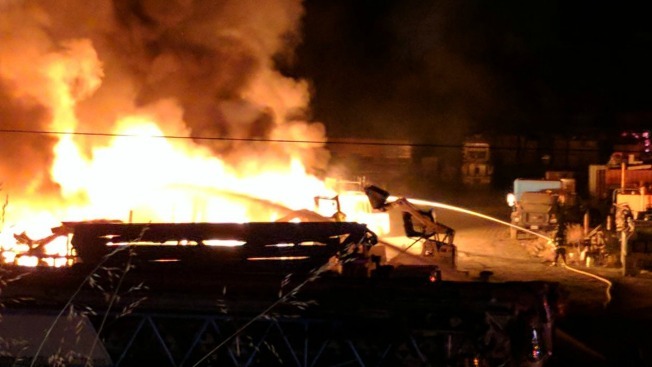 A two-alarm fire broke out a concrete plant in unincorporated Gilroy Saturday evening, according to CalFire officials. No one was injured in the blaze, which was reported just after 9:30 p.m. near Monterey Highway and Buena Vista Avenue, according to officials. The cause of the blaze, which was still burning as of 10:30 p.m., is still under investigation, according to CalFire. Multiple agencies responded to battle the flames.